'Boring' Singapore City Photo: The photographers.. The photo I posted on Saturday was taken with just a simple camera. These guys are the professional ones. They all have gigantic cameras. 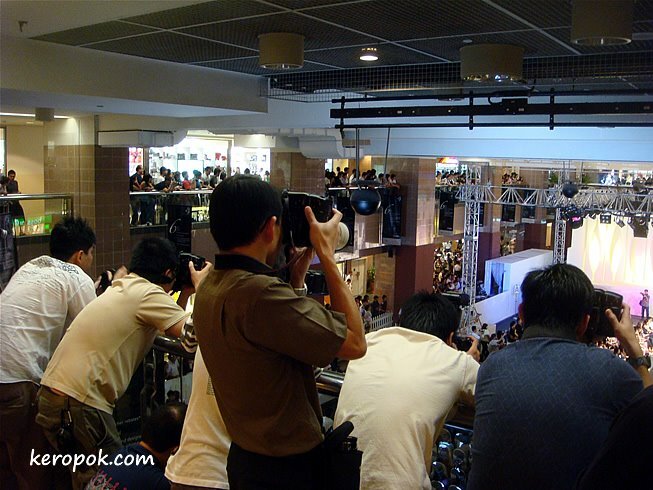 There sure is lots of photographer there and usually at a nice spot too :-) This should be at basement of Takashimaya shopping centre and what was the event? fashon show? Sorry just read the earlier post.. I can only just cope with my camera so I wouldn't know what to do with all of this kit! Great shot.